The Schulich School of Medicine & Dentistry at Western University, London Health Sciences Centre and St. Joseph’s Health Care London are seeking a compassionate, enthusiastic, exceptional leader to be the Site Chief, London Health Sciences Centre, for the Department of Psychiatry. Together, the hospitals provide comprehensive care to a large and geographically extended population of approximately 1.6 million people across Southwestern Ontario. 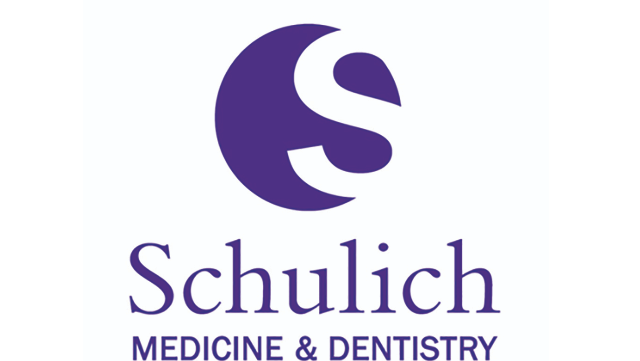 The Schulich School of Medicine & Dentistry at Western University is one of Canada’s preeminent medical and dental schools. For more than 130 years, the school has demonstrated a commitment to academic excellence and a passion for scientific discovery. With annual research funding exceeding $220 million and an international reputation for success, Western ranks as one of Canada’s top research-intensive universities. Attracting individuals with a broad worldview seeking to study, influence and lead in the international community, Western challenges the best and the brightest faculty, staff and students to commit to the highest global standards. Their research excellence expands knowledge and drives discovery with real-world application. The mandate of this exciting role is to provide visionary leadership and passion about high quality patient care with an appreciation of the interdisciplinary process to the management of patient care. The successful candidate will have the ability to translate a strategic direction through planning, communication and organizational skills, while working collaboratively with hospital and academic partners. The Site Chief will be an exceptional leader with the vision and scholarly profile to understand and nurture the complex interrelationships required for the smooth functioning of clinical services. The Site Chief will plan, organize and co-ordinate the personal and clinical care provided to the patients through the development and implementation of standards as they relate to program risk management, continuous quality improvement, strategic planning and resource utilization. This includes the management of access and flow, responding to critical incidents, and involvement in complex case reviews and critical incident reviews. The successful candidate will hold a limited term initial appointment at the rank of Assistant, Associate or Full Professor, commensurate with experience and track record and will have the capacity to mentor and inspire junior faculty. The position is a joint appointment by the University of Western Ontario and the participating facility, London Health Sciences Centre. It is a full-time commitment, apportioned 60% administrative and 40% clinical (including teaching and research) - negotiable. The successful candidate will hold an MD, or equivalent, be certified or eligible to be certified as a member of the Royal College of Physicians and Surgeons of Canada, and be eligible for licensure in the Province of Ontario. Compensation will be based on qualifications and experience and will be composed primarily of the following sources: stipend for protected administrative time, fee for service, alternate funding plan, and academic support. Western University is located on 1,200 picturesque acres along the banks of the river Thames in beautiful London, Ontario, a city of 530,000 located within a 2-hour drive from Toronto and Windsor, Ontario / Detroit, Michigan. London boasts an extensive educational and health care community including two large teaching hospitals with multiple sites, two research institutes, an Institute for Clinical Evaluative Sciences (ICES) node, and an academic health sciences network across Southwestern Ontario. With full time enrollment of 32,000, Western graduates students from a range of academic and professional programs. Details about Western University’s Schulich School of Medicine & Dentistry may be found at www.schulich.uwo.ca; Western University at www.uwo.ca; the Department of Psychiatry at https://www.schulich.uwo.ca/psychiatry/; London Health Sciences Centre at www.lhsc.on.ca; and St. Joseph’s Health Care at www.sjhc.london.on.ca.